There's always a lot going on and this month is no different. Filled with interesting facts and figures about past and upcoming races, along with changes to team and crew, the Porsche Motorsport Newsletter is an easy way to keep on top of this year’s racing activities within the Porsche community. Don't forget to check out Porsche and Jeff Zwart's record breaking results on the race up Pike's Peak. 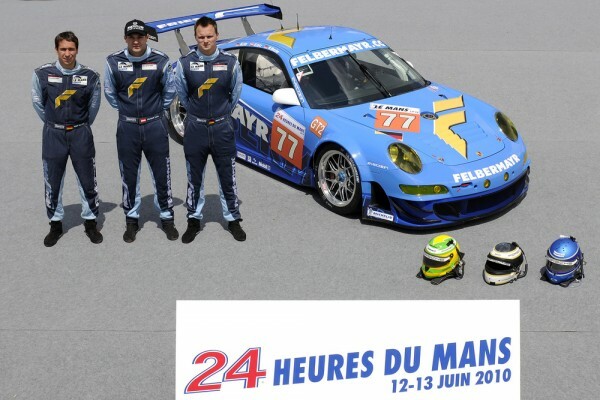 Works drivers Marc Lieb, Richard Lietz and Wolf Henzler won the Le Mans 24 Hour GT2 class (12/13 June) in their Felbermayr-Proton 911 GT3 RSR. In front of 240,000 spectators, the trio set a cracking pace and brought the 450 hp Porsche home to victory without any technical mishaps. With seven manufacturers and 18 race cars in the excellently supported GT2 field, no other vehicle spent less time in the pits. Porsche also celebrated the overall victory of Porsche works drivers Timo Bernhard and Romain Dumas, who shared the cockpit of an Audi R15 TDI with former Porsche factory pilot Mike Rockenfeller. Timo Bernhard is the first racing driver ever to win the four long-distance classics, thus bringing home a genuine Motorsport Grand Slam: In 2003 he won the Daytona 24 Hours, from 2006 to 2009 he claimed four victories at the Nürburgring 24 hour race, he won the 2008 12 Hours of Sebring and now at Le Mans in an Audi. Bernhard has competed as a Porsche works driver since 2002. Marcel Tiemann’s recovery (36) is making good progress. On 17 June the race driver was moved from the university hospital Grosshardern to the rehabilitation clinic Bad Aibling (Bavaria) where his treatment is continuing according to plan. On 23 May, at the Imola round of the International GT Open, Tiemann’s Audi was shunted from the track by a competitor and crashed into a wall. Tiemann sustained serious craniocerebral injuries, a broken cervical vertebra and broken ribs. 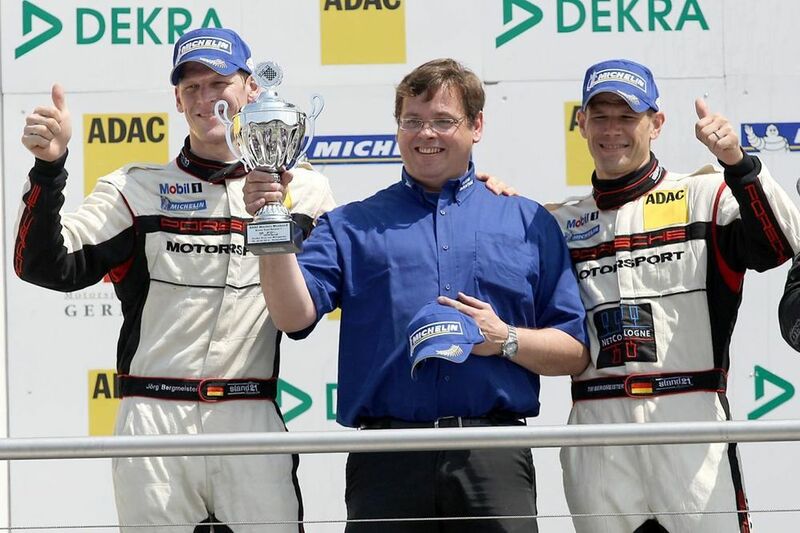 Marcel Tiemann scored four of his five overall wins at the Nürburgring 24 hour race in a Porsche 911 fielded by Manthey Racing. After the fifth round of the ADAC GT Masters on the Hockenheimring (29 May), the Mühlner Motorsport team celebrated their 100th win. Joerg and Tim Bergmeister gunned to the finish in their 911 GT3 R 0.8 seconds ahead of a Lamborghini. The Bergmeister brothers clinched third place at race two (30 May), putting Mühlner Motorsport back in the points’ lead and Tim second in the drivers’ standings. Richard Westbrook and David Ashburn saw the chequered flag at race five of the British GT Championship in Spa-Francorchamps (5 June) in second at the wheel of their Trackspeed 911 GT3 R, followed closely by their team colleagues Oliver Bryant and Oliver Morley. Westbrook led until handing the car to Ashburn 15 laps before the end of the 150 minute race. Ashburn currently ranks third in the drivers’ classification. It was in the first lap at round two in Spa-Francorchamps (5 June) that Marc Goossens and Maxime Soulet snatched the lead with their Prospeed Competition 911 GT3 R. After 150 minutes, the pair celebrated their second victory of the season. Over many laps, Ruben Maes and Enzo Ide were running second in the sister Prospeed Porsche, but relinquished their position to an Audi to see the flag in third. Gianluca Roda is still the man to beat in the GT3 class after races five and six of the Italian GT Championship in Magione (6 June). Roda crossed the finish line at race five in second place with teammate Raffaele Giammaria in the Autorlando Sport 911 GT3 R, but was later announced as winner because the original victor had overtaken under yellow. In the second 48-minute race on Sunday, Roda and Giammaria claimed third overall and again won the GT3 class. After 27 laps or 660 kilometres, victory was decided on the final metres at race four of the Nürburgring Long Distance Championship (12 June). In torrential rain, Chris Mamerow in his Mamerow Racing 911 GT3 R caught Hans-Joachim Stuck’s Audi shortly before the flag to win by just 0.24 seconds. Mamerow shared the cockpit of the Porsche with Marc Basseng. In their Porsche 911 GT3 Cup, Andy Lally and Spencer Pumpelly won the GT class of the six hour race in Watkins Glen (5 June). Driving for TRG, the pair received support from former motorbike racer Bob Doyle. After six championship rounds and two wins so far this season, Andy Lally ranks a close third in the drivers’ standings. After four straight wins for reigning champion Christian Menzel, Marchy Lee (Red Bull Racing) from Hong Kong dominated at races five and six in Zhuhai (20 June). Germany’s Menzel still leads the championship ahead of Craig Baird. With a flag-to-flag victory from pole position at round three of the Carrera Cup Deutschland on the EuroSpeedway Lausitz (6 June), Nicolas Armindo from France (Hermes Attempto Racing) put an end to Nick Tandy’s winning streak. Briton Tandy won the first two rounds of the series, and with second at the EuroSpeedway still leads the drivers’ classification. Porsche France invited drivers from all over Europe to contest round seven of the Carrera Cup France run as support to the 24 Hours of Le Mans. Sylvain Noël from France turned heads with his performance with slicks on a damp track when he snatched the lead from Briton Tim Harvey – racing with rain tyres – shortly before the flag. Noël won, his compatriot Kevin Estre also got past Harvey to claim second, leaving the Briton with the third podium spot as the best non-French contender. Old-hand Tim Harvey seems to be unbeatable at home. The 48-year-old champion of 2008 won the seventh race in Oulton Park near Chester (6 June) in his 911 GT3 Cup run by Red Line Racing, with his arch rival Michael Caine retiring after an accident in the first corner. Again at race eight, Caine found no way past Harvey, who went on to claim his seventh victory this season. With his wins from pole position at races four and five in Fuji (12/13 June), the reigning champion and points’ leader Yasuhiro Shimizu extended his lead slightly to now sit six points ahead of Hideto Yasuoka. His young rival, who receives support from Porsche as a motorsport talent, remains within striking distance after securing two second places. Shimizu has four wins to his credit, Yasuoka one. At race nine on the city circuit in the harbour of Gothenburg, Fredrik Larsson snatched back the lead from Robin Rudholm after winning the hefty duel over the entire race distance. Rudholm saw the flag in second, 0.3 seconds behind the winner. At race ten (both races 5 June), however, Rudholm returned to top the tables after Larsson pulled out before the start with a broken drive shaft. Dumb question. Why do the teams enter a Gt2 class with a Gt3 variant car, vs using a porsche Gt2? That makes sense. But now I’m wondering, if Porsche calls the GT2 a GT2, why not put a 4L engine in it so it would be competitive in that class? “in GT2, the rules allow for naturally aspirated motor up to 4.0L. The GT3 is 3.8L. The 2010 RSR has a 4.0L motor to take advantage of every last drop in the rules. The GT2, on the other hand is a 3.6L turbo (not naturally aspirated), would have to add weight to meet specs, plus the motor does not have the benefit of a full race program for testing. The motor in the GT3 cup is basically the same for all the series. Sprints make more power, like in World Challenge where they claim 405 (but in reality it probably makes more like 500).